The purpose of writing a career statement is to give the professional a clear direction for the future. A career statement is a creation of your career vision for inspiring and motivating yourself. 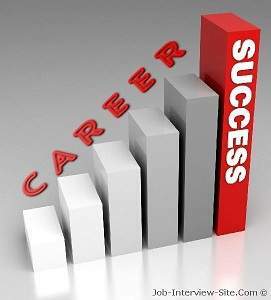 The career statement may serve as an effective way for assessing current career achievements and the means one should take for accomplishing her career objectives. In fact, the career statement is a short and crisp essay that clearly presents the career vision of a professional for making an effective career planning. This article suggests examples of personal mission statements for an individual, i.e. career objective statements. Who are you and what do you want to achieve in life? Why does this career fit you? What do you expect to achieve from this career in the long run? Describe your achievements, experience and qualifications for this career. What do you intend to do in the future? After clarifying these points, the second mission is to create the career statements. To become an expert consultant in the IT field. Learned 2 years at Cisco labs. Gained an experience in IT networking components and products. I intend to work 5 years at a challenging, cutting edge technology position where I can enhance my skills and knowledge. Take new perspectives and eventually manage/influence others. Communicate with the industry leaders to develop my network. Learn business management for establishing my business in consulting after these 5 years. Career objectives examples for resumes. 15 objectives statement examples for resumes. How to Pick a Career of Interest?